She had an operation in June 2012, when the disease entered the third stage. It was not her first encounter with this cruel disease. Her husband died in 2005 of lung cancer despite chemotherapy. Ann denied to go the same route as he did and refused chemotherapy. She told her story on the blog Chris beats cancer, where people who have sought / found alternative ways of treating cancer tell their stories. “In June 2012, I was subjected to surgery for colon cancer, and after that I refused chemotherapy treatment. Every day I felt better, but after six months the control studies revealed that the cancer had spread to the lungs, and colon cancer, entered the fourth stage, ” told Cameron. She claims that she dedicated her time on researching through and came across the story of Ralph Cole who was diagnosed with skin cancer at 26 years and according to his story he cured himself by consuming daily juice made of 2.5 kilograms of carrots. She decided to follow in his footsteps and began to drink carrot juice every day taking evenly doses throughout the day. As she claims, after eight weeks the medical studies revealed that the cancer had stopped spreading, the tumors began to shrink, as well as swelling in the lymph glands. After four months glands were back to normal and the cancer has continued to retreat. After eight months, computed tomography scan showed that the cancer had disappeared. 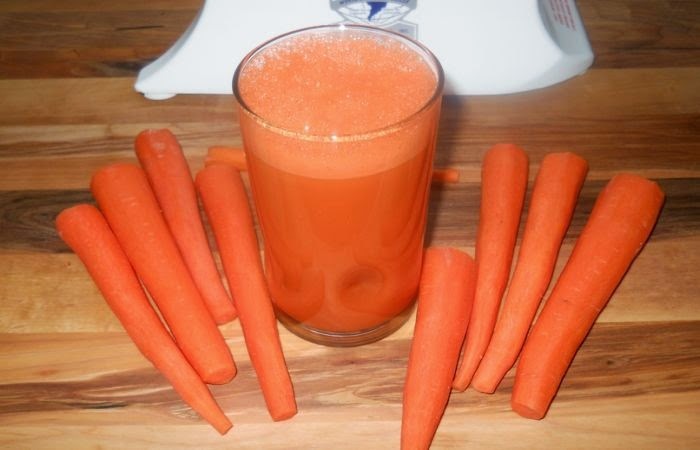 The secret, apparently, is that carrot juice is rich in fatty alcohol and natural pesticide anticancer properties, and carotene from carrots acts preventive on creation of tumor cells. Ann Cameron after his experience wrote a book Curing cancer with carrots, which can be purchased on Amazon.